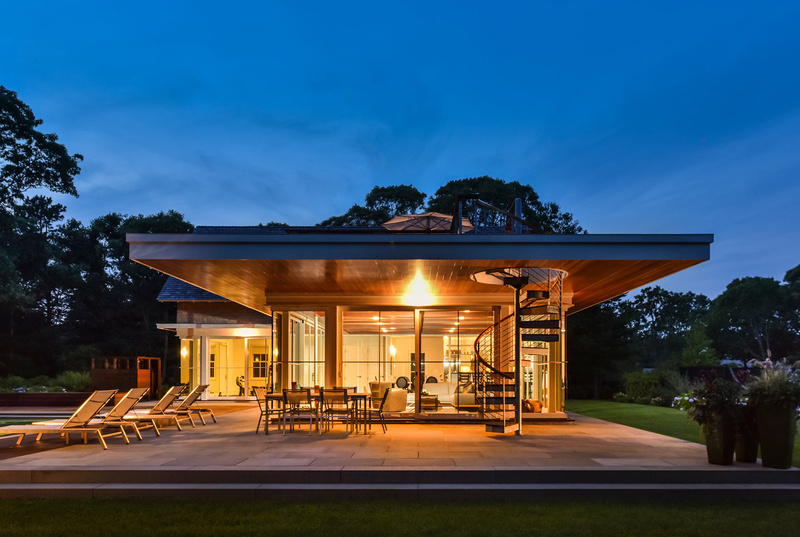 Edgartown, MA The contemporary language of this house—located in a neighborhood with strict design constraints—is a surprising discovery, and one that is slowly revealed in its private spaces. The use of bluestone, fir, and cedar clapboards links the house to its Martha's Vineyard setting. 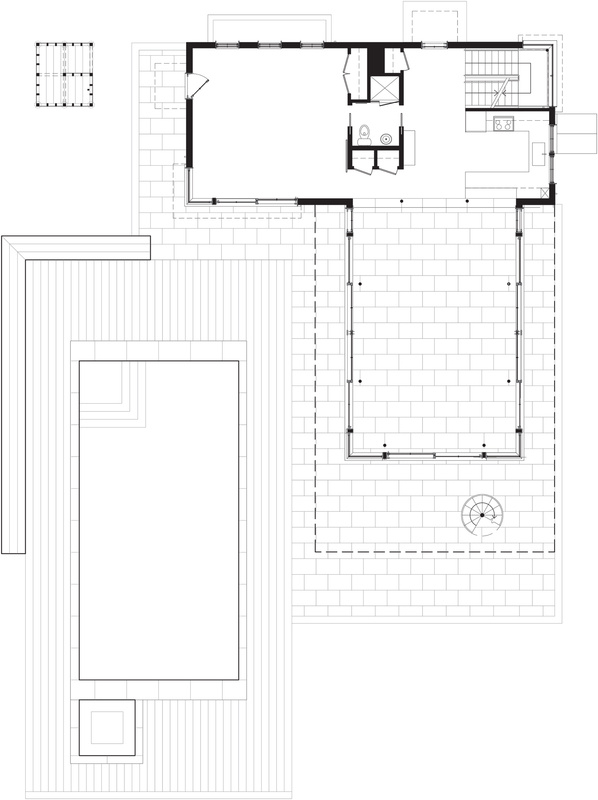 Designed for a large, active family, a glass wing bisects a pool and a tennis court. Its dramatic cantilever creates a covered outdoor room, further celebrating the glass volume. 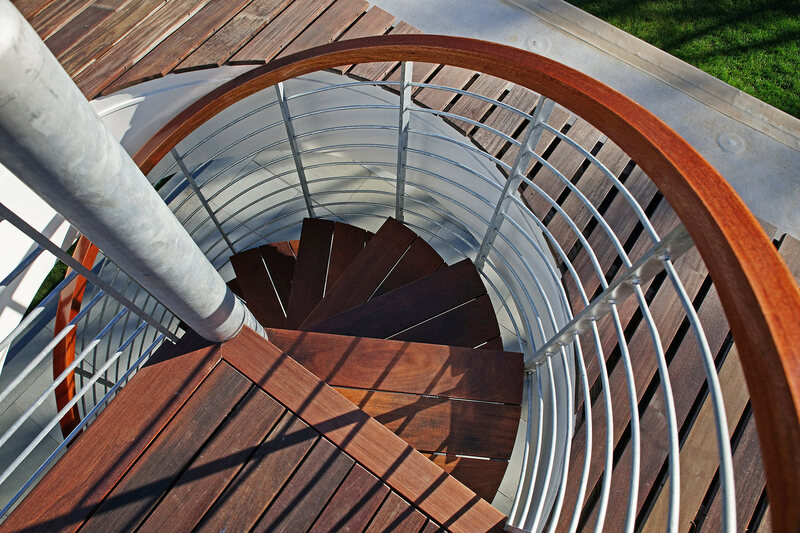 A sculptural, spiral stair with galvanized steel railings leads to a roof deck and adds a lyrical focal point. 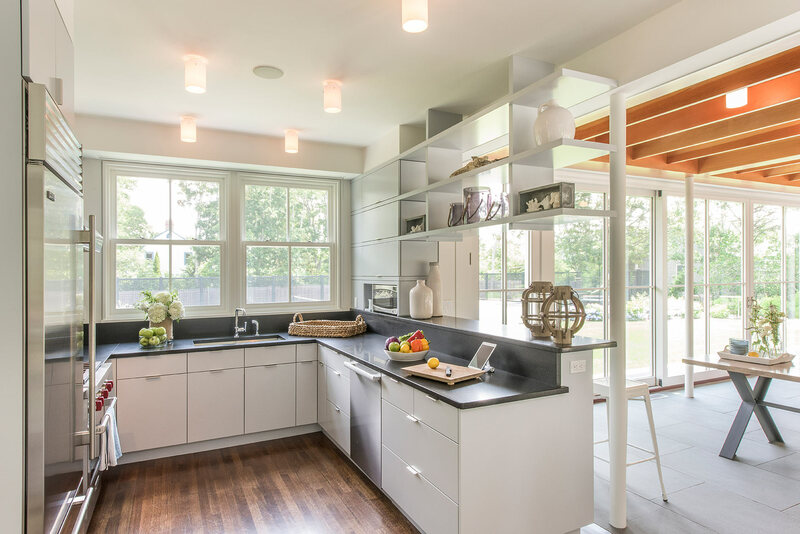 The contemporary language of this house—located in a neighborhood with strict design constraints—is a surprising discovery, and one that is slowly revealed in its private spaces. The use of bluestone, fir, and cedar clapboards links the house to its Martha's Vineyard setting. Designed for a large, active family, a glass wing bisects a pool and a tennis court. Its dramatic cantilever creates a covered outdoor room, further celebrating the glass volume. 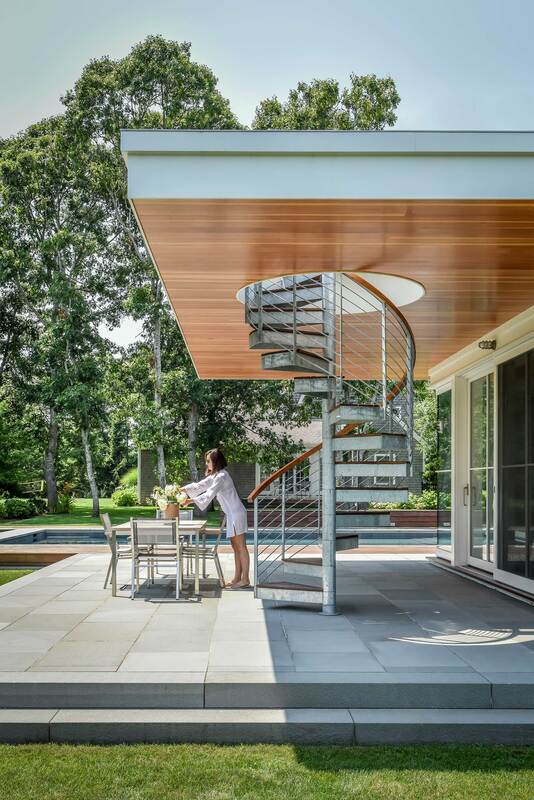 A sculptural, spiral stair with galvanized steel railings leads to a roof deck and adds a lyrical focal point.